After reviewing microsoft desktop wireless 800 keyboard and mouse combo, We have got hands on Note II Authentic Flip Cover by Samsung. Cases are necessary to secure or protect the device in convenient manner where Like other accessories providers, Samsung supports wide range of different accessories including Cases, Covers, Headset,Cables, etc. 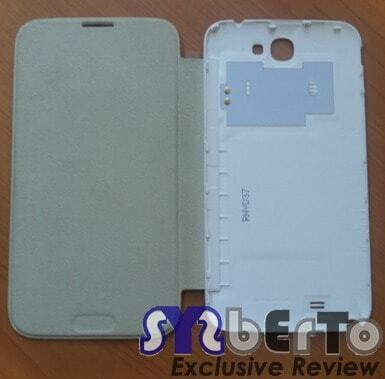 First of all this is Flip Cover of Model named EFC-1J9FWEGINU With NFC Compatibility. It comes within a plastic box. Cover is packed in A special plastic-paper box with plastic covered on it. Looking best in white color, This flip cover comes with Cutout Windows design i.e, It covers whole device screen and Back Panel completely with Covering Cutouts at Corners of Device. Cover comes with Attractive and Flexible Design with Dimensions of 150 x 81.5 x 12.4 mm approxiamately. Cutouts made are Excellent for Covering Camera Lens, Speakers, and attaching of S-pen Stylus too. This Flip Cover is made up of PU and Polycarbonate Material which makes it light-weight. Samsung giving 6 Months Limited Warranty which needed Bill / invoice to apply for Warranty Terms. Unlike other cheap or market available covers, this one comes with NFC compatibility too and hence you won’t be loosing your NFC Feature! Having Elegant Cutout for S-Pen Stylus. Inner side of it, covering cloth is lint free but have to take care from dirty hands. This Flip Cover Protects the device completely including Camera lens from Scratches and NFC chip and ofcourse the Screen too. 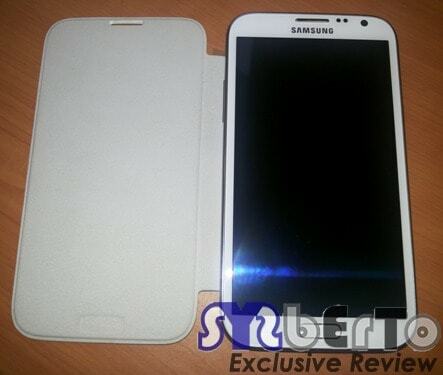 Samsung EFC-1J9FWEGINU White Flip Cover For Note II is Excellent Choice which gives overall Premium Feel with White Color flip cover and NFC Compatibility too. Quality and build is Superior by company and it is available at Rs.1599/- if you buy it from authorised Samsung Smart Cafe or any Other Local market else you may try other available online shopping sites options too. Just because of White color, you have to take extra care of it else it will get dirty soon and your money will go waste. 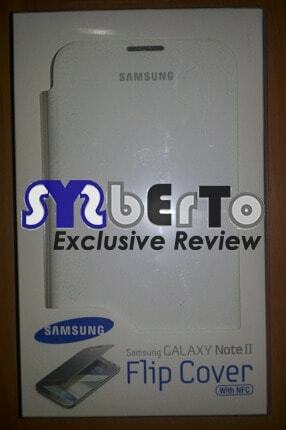 Do you have this cover?